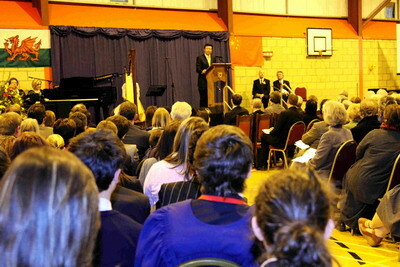 It is a great pleasure for me to visit Llandovery College. Thank you, boys and girls, for your wonderful performances. Today is a most memorable day for many reasons. 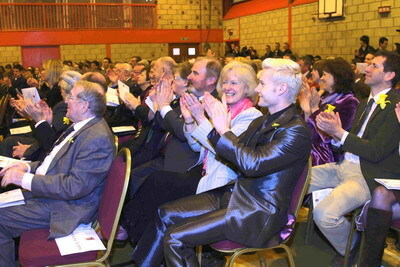 It is first and foremost St David's Day, the most important festival of Wales. Today is the 163rd anniversary of the founding of Llandovery College. 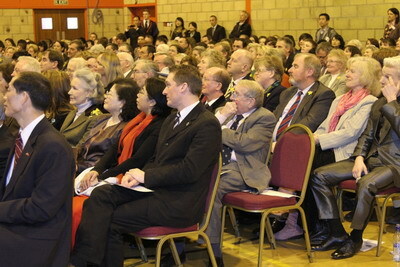 Today we also had the honour to attend the official unveiling of the Confucius Classroom by His Royal Highness. I would like to sincerely thank His Royal Highness once again for his personal support for mandarin teaching in Britain and for China-Britain cultural exchanges. Many of you may wonder how Confucius Classrooms got their name. They were named after Confucius, a great thinker and educator in ancient China. He was an enormous influence on the Chinese civilization. Many of his political and social values, such as harmony, benevolence and rule by virtue, are still relevant today. He also left behind many popular sayings that have guided the Chinese people for thousands of years. The following quotes are just a few examples: "In any group of three people, there must be someone to learn from"; "Review what you have learnt, and you shall gain new knowledge"; "Learn without thinking, one will be lost. Think without learning, one will not get far". Then what can we expect from the Confucius Classroom? Learning mandarin is one obvious answer. Thanks to the emerging "mandarin fever" in Britain, 13 Confucius Institutes and 54 Confucius Classrooms have come into being.These classrooms are equipped with professional teachers and easy to use teaching materials. They are the places for learning good mandarin courses. On the other hand, learning a language is not just about the language itself. It is also about understanding a country. As a Welsh proverb goes, "Cenedl heb iaith, cenedl heb galon"(a nation without a language is a nation without a heart). To really understand a country, its people and its way of thinking, one must learn the language. There is a lot to learn about China. China is an ancient country, with a 5,000-year civilisation and rich culture. China is also a modern country with fast economic and social progress. It has embarked on the road of rejuvenation. For you, boys and girls, learning mandarin is also important because you represent the future of your country and the future of China-UK friendship. 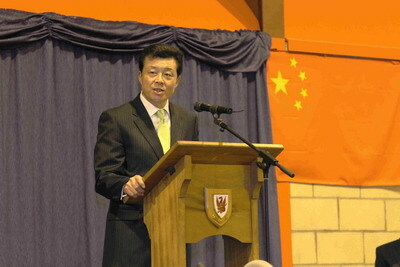 With a good command of mandarin, you will be better equipped for taking China-UK friendship and cooperation forward. We count on you to contribute to the development and prosperity of our two great countries. In closing, boys and girls, I wish all of you ever greater progress in the Year of the Rabbit!